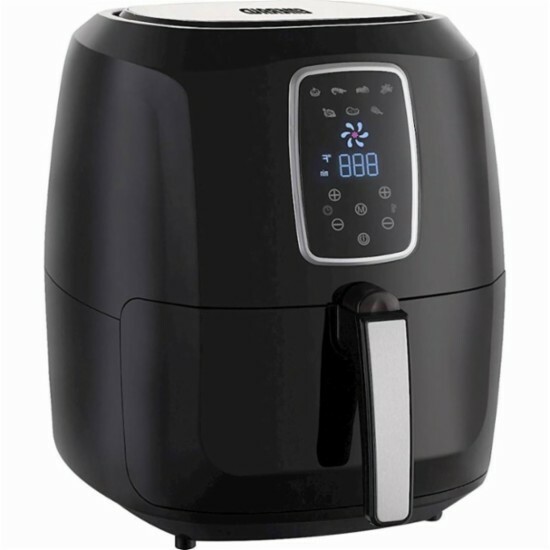 Today only, while supplies last, get this Emerald - 5.2L Digital Air Fryer for ONLY $59.99 (Retail $139.99)! Decrease unhealthy oil in fried foods with this Emerald air fryer. Its seven preset programs and digital touch display make getting started on dinner simple, and its adjustable temperature controls and built-in timer let you fine-tune recipes to match your preferences. This Emerald air fryer accommodates family-sized portions.